Automotive, aerospace and other behemoths employ expensive IT systems and machinery in factories but tying transactional data from the business layer to real-time information on the shop floor remains a challenge. While this age-old puzzle continues to baffle the manufacturing-heavy industries—a solution that would connect the boardroom to plants—and enable them to operate economically and efficiently has become an imperative. To this end, FORCAM is a frontrunner that transformed the shop floor into a smart factory for Daimler AG even before the dawn of Industry 4.0. Today, this global firm’s solutions deliver the performance of a traditional manufacturing execution system (MES) along with the added value of a futuristic Industrial Internet of Things (IIoT) solution to empower AUDI, BMW, Volkswagen, BorgWarner, and alike to enhance their manufacturing efficiency. 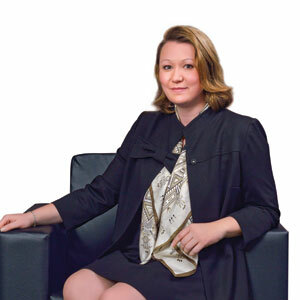 With its DNA in the automotive industry, FORCAM offers FORCAM FORCETM, an Industrial IoT solution which is built on four pillars: connectivity, metrics, analytics, and the business case. FORCAM believes that connectivity on the shop floor is the key to manufacturers, and the ability to connect fast and in a cost-effective way will help them lead the market. Thus, FORCAM FORCETM connects machines, sensors, assets, and devices on the plant floor with each other and with the business systems to unleash the power of IoT. FORCAM FORCETM is certified to integrate with SAP ERP and offers connectivity to all major ERP systems and other applications. FORCAM has recently entered into a global partnership with Infor. Such partnerships provide credibility that FORCAM FORCETM facilitates seamless connectivity between machines and business systems. 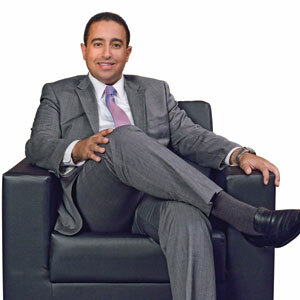 “Smart factory is the future.Connectivity plays a pivotal role in realizing smart factory, and hence it’s the first pillar of FORCAM FORCETM,” remarks Mohamed Abuali, CEO–Americas, FORCAM. As far as the metrics part is concerned, FORCAM FORCETM collects information, contextualizes machine data, and renders it for processing. Manufacturers can leverage reporting, visualization, and alert capabilities of FORCAM FORCETM to understand the performance of any shop floor asset. Using the solution, they can gain graphical representations of machine status and configure a user interface with drag and drop functionality. It allows worldwide access via the web to all user group authorized data views and renders key metrics to stakeholders. As analytics is crucial for business success, FORCAM FORCETM allows users to drill-down to numerous criteria such as the workplace, order, material, and personnel. They can compare operating states, cumulated error hit lists, and subsequently discern machine and plant performance. Users can enjoy this out-of-the-box solution with templates ready for configuration. Deployment is fast and easy. Through these pre-configured templates, clients can analyze business parameters in improving the performance of the entire production. In an instance, Audi AG, the German automobile manufacturer of luxury vehicles, was facing stiff competition in the stamping market and seeking a solution to improve on-time delivery and performance. After deploying FORCAM FORCETM, Audi could improve the stamping productivity in five facilities by more than 20 percent within a time span of 12 months. The client could also improve OEE, its ranking in Harbour Report, and surpass the competition. “Industrial IoT is not just about the smart factory; it’s also about the smart product. And we are leading the way in this aspect,” quips Abuali.